Venice is undoubtedly one of most popular Italy’s destinations for its rich culture and outstanding beauty. 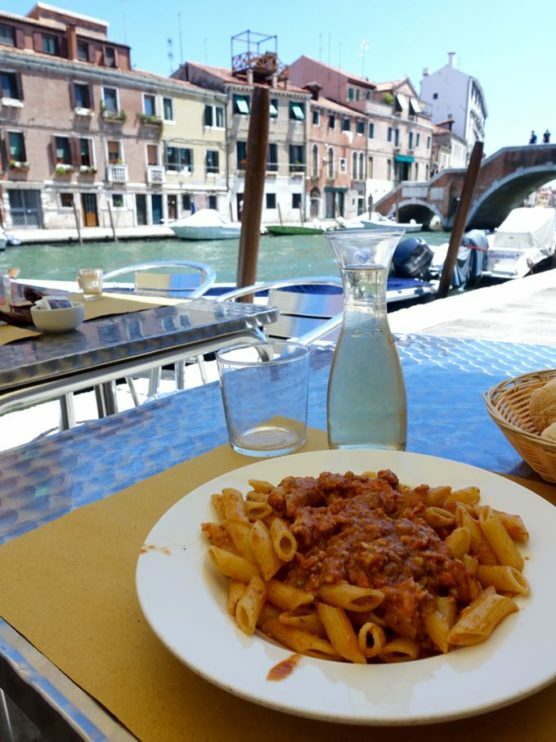 However, you might have not heard the best of reputations when it comes to eating in Venice, either because is very expensive or the restaurants just offer touristy food. However, we have good news for you, if you are thinking to visit Venice shortly, we have listed the best budget places to eat out in Venice, such as: osteries, trattorias, bakeries and gelato shops to taste the local food without spending a fortune. You can also find our useful recommendations about what to do in Venice in three days . 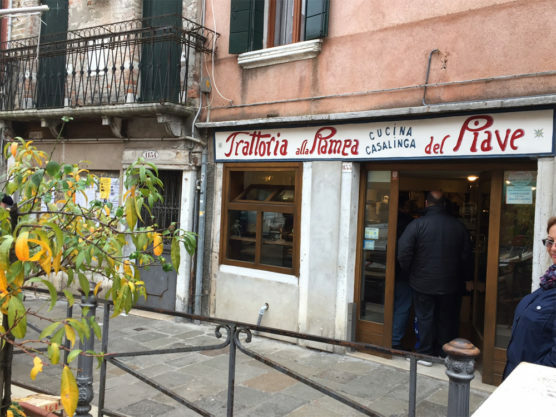 Between the hustle and bustle of Venice, you can find hidden gems with peace and quiet, like at the end of Via Garibaldi, by the canalside you will find Trattoria alla Rampa, with its hand-painted sign. Just from 12:00 pm to 12:45 pm there is a fixed price menu which is called “menu operai” (worker´s menu) for €13.00 euros, if you can not book it during this time, there is a second a la carte service from 1:00 pm, at a slightly higher price, but still reasonable. Your visit to Venice will be incomplete if you don’t visit this traditional family- run venetian Osteria. A stand- up bar located by the San Trovaso canal, with a great and wide selection of panini & cicchetti, which are made fresh daily, they are basically different kind of topped bite-sized pieces of bread, at an affordable price of 1.3€ each. This place is also a very good chance to try the excellent selection of regional wines. Since Osteria Al Bottegon gets so packed, you can also grab your food and eat beside the canal while watching a sunset. If you visit Al Bottegon, from the 60 different cicchetti that are made daily. Above all, we would recommend you to try the cicchetti with ricotta base and topped with noci, pumpkin or sundried tomato, baccalà alla vicentina or smoked tuna with parmesan. These are other popular local osteries and trattories to fill up with the traditional Venetian snack, cicchetti: Alla Ciurma (San Polo, Calle Galeazza, 406A), Do Colonne (Cannaregio, Rio Terà del Cristo, 1814/C), Al Portego (Castello, Calle De La Malvasia, 6015). If you are up for good food and want to eat something that the locals would eat, this is a must go place. Located just few minutes away from Ponte dei Tre Archi, in Cannaregio neighbourhood. This family – owned Venetian trattoria has been been serving homemade menus at an affordable price since 1965. Trattoria Dalla Marisa does not have a la carte menu, as it changes almost every day, depending on the daily supplied ingredients, but it’s attentive staff will kindly advise you what´s the daily menu. Mainly the lunch menus are based on delicious meat recipes or pasta plates, whereas at night, the specialty is seafood. Located in the heart of Venice between the Church of the Miracles and Campo San Giovanni e Paolo. 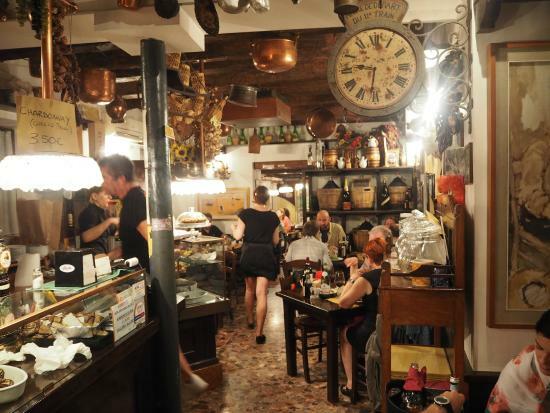 Osteria da Alberto is one locals and tourist’s favourite place to eat fish at an affordable price, so you should pre-book your table because it gets very busy. Although the interior is not very fancy, its utterly cozy and inviting ambience will make you have an authentic dining experience. Here you can enjoy cichetti with a glass of wine over the counter, but we recommend you to sit down and enjoy a lunch or dinner. Preferably, go for the daily specials, made with the fresh products that the chef finds in the local market. The top dishes are: spaghetti alle seppie nere (squid ink pasta); sardine in saor, creamy cod, spaghetti alla busara, fegato alla veneziana… mmmmm yummy!! And if while in Venice, you just want a light lunch or have a treat with a nice gelato or piece of cake, here we recommend you some of the best bakeries and gelatos shops, in our opinion is the best budget places to eat out in Venice, you can eat quickly and have more time to explore the city. The first Rosa Salva pastry cafe was opened in 1879. There are two in total, one in Sestiere di S. Marco, 950 and the other one in Sestiere Castello, 6779. The quality of their pastries and the coffee selection is out of this world. So, grab a cake from their wide selection in a napkin and order a delicious coffee, as the locals do. Located in Castello, Salizada Sant’Antonin, 3604, with non-touristy prices. 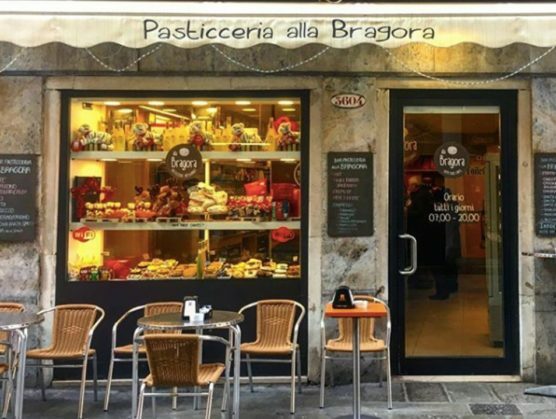 Do as Venetians do at the Pasticceria Alla Bragora: Take a cup of coffee and one of their mouthwatering desserts, sit at a table and chill out. The local´s favourite is the small cakes with layers of ricotta mixed with raisins soaked in rum. Here there are some other options for express but a delicious treat. Venetian pasticcerie is one of the best budget places to eat out in Venice. Pasticceria Chiuso Tasty artisanal pastries, nice coffee and excellent prices! Pasticceria Pitteri If you want to taste some of the best pastries in Venice, mouthwatering sweet and savoury treats and excellent coffee. 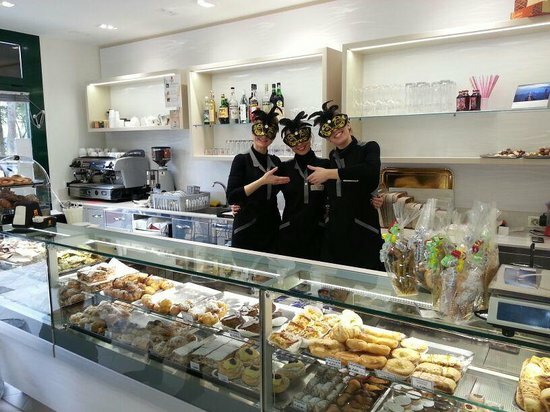 Pasticceria Dal Mas is one of the best pastry and chocolate shops in Venice. 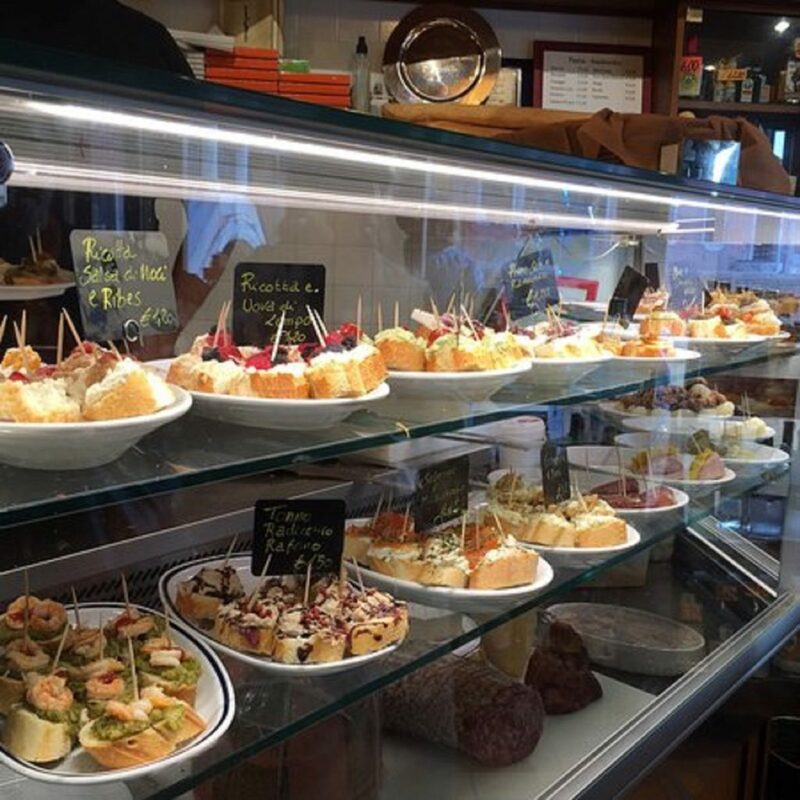 Located in Lista di Spagna, it offers mouthwatering sweet and savoury treats. 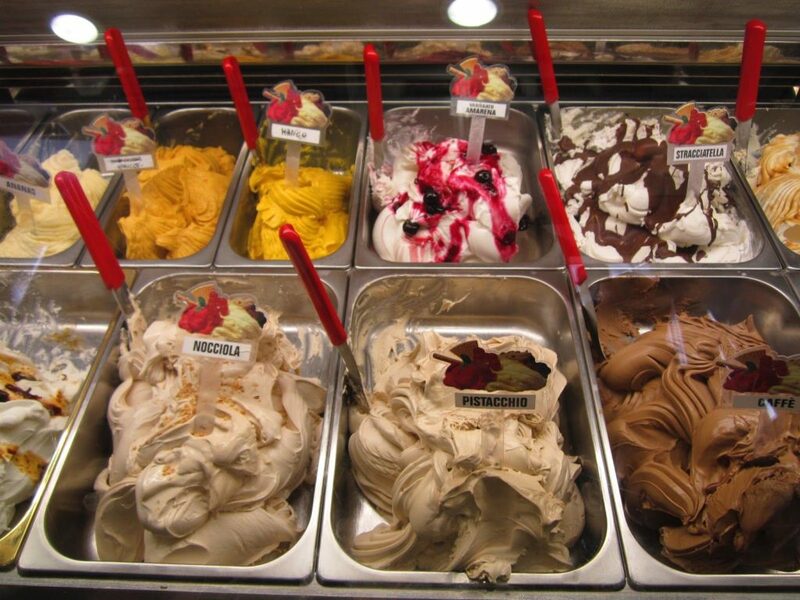 It is difficult not to be tempted by the amount of ice-cream shops in Venice. La Boutique del gelato, located in Salizzada San Lio, its a popular one among locals and tourist alike, both taste and generous portions are so satisfying and the value for money is excellent. Our tip is to try the flavours, such as: cherry, tiramisú, pistacchio, yogurt, stracciatella, hazelnut, vanilla, fresh milk,, chocolate, hazelnut. We hope that on your next trip to Italy, you will be able to try the best budget places to eat out in Venice. If you know any more places share with us, besides if this is your first visit to Venice, you should not miss out these 5 best places.